senderdomain.com 12.34.56.78 is listed at bl.spamcop.net. Contact tech support enclosing a copy of this error message on email address. 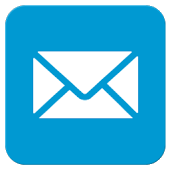 The message will contain a full email address in place of email address. There may also be another address in place of bl.spamcop.net. Only the sender will receive the message. You will not receive notification that an email to you has been blocked and you will be able to send and receive other messages as normal. The message is part of our effort to block spam sent to email addresses hosted at UKC. We check the IP address of the server each email has been sent from against several lists of addresses, one of which is maintained by bl.spamcop.net. If the IP address is on any of these lists then we block the email. Although this stops lots of spam getting through, it does mean legitimate messages occasionally get blocked too. If this is happening to someone trying to send you email, it’s easy for them to stop it occurring in the future. The person who sent you the email should forward the message they received to the address shown in it. We’ll put the relevant IP address onto our list of allowed addresses, so future mails from that person come through to your inbox. If the message mentions spamcop.net, they can also enter the IP address in the message (e.g. 12.34.56.78) into the Lookup IP box at Spamcop.net. This will remove the IP address from their list and should ensure that other email providers using the list stop blocking messages from that person. UKC > Support > email > Emails sent to me are being returned as SPAM. Can I stop this?